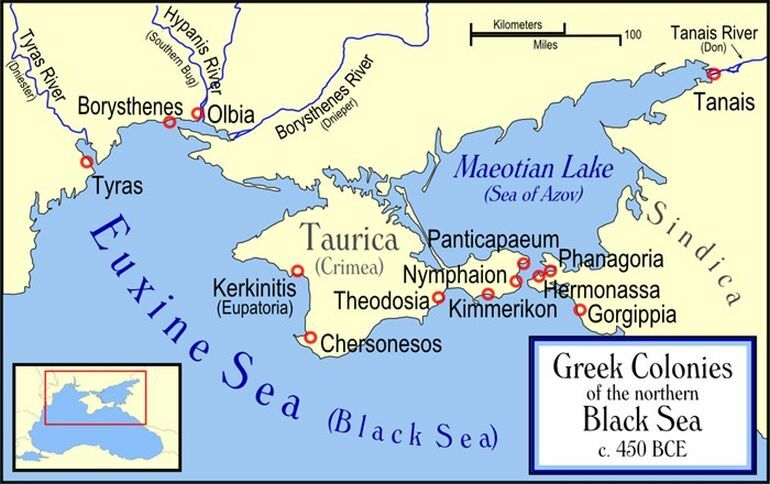 The ancient Greek city of Tanais was pretty unique, by virtue of its remote location in the Don river delta, in what is now the Rostov Oblast in modern-day Russia. And while it is believed to be founded by Greek settlers in 3rd century BC, the settlement served a strategic purpose by facing the equestrian nomadic hordes on the northern side of its border, thus alluding to a junction where Greeks and steppe tribes traded and warred. 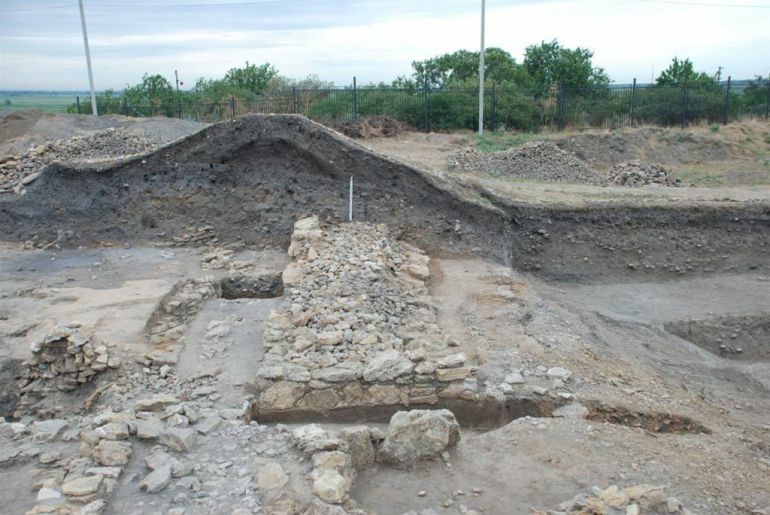 And given this strategic ambit of the ancient times, archaeologists have now confirmed that Tanais did indeed boast effective fortifications that were far more impressive than initially thought. Our research shows that even at the end of the Greek world settlers built according to standards known from Greece. 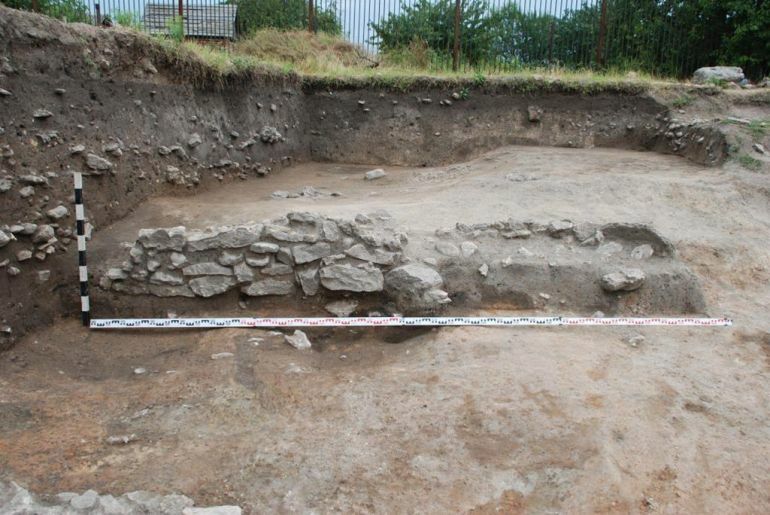 The fortifications discovered this year were made very carefully, according to typical antiquity standards. The ‘typical’ high standards of most Greek city-states translated to a complex system of fortifications. In the case of Tanais, the city wall in itself probably presented itself as a bastion of civilization in the ‘wilds’ of the steppes. From the engineering perspective, the wall was three-layered, with two facades made of limestone blocks, filled in the middle with a composition of rock rubble and clay. This primary outer wall system was guarded by a ditch, thus mirroring the moats of the medieval times. This ditch was also protected on either side with a series of smaller structural reinforcements, including a wall on its inner side. The double layer of fortification was probably used by light troops like archers and slingers when the enemy had advanced to the parameters of the settlement. Tactically the system also deterred the maneuvering and movement of enemy siege weapons in proximity to the city. This is a unique project in the entire Greek world also because the bridge is not perpendicular to the fortifications, but positioned at a certain angle – this made things difficult for the troops storming the city if they were a battering ram or other siege weapons. Suffice it to say, while Tanais was regarded as an important emporium (trading city) at the farthest northeastern extension of the Hellenic cultural sphere, the city was also designed to act as a bulwark against the mass incursion of nomadic warriors from across the steppes. In fact by the end of 1st century AD, Tanais grew in prosperity and strength, with its palatial buildings being inhabited by the rulers of the Greek Borporan Kingdom, the longest serving Roman client state. 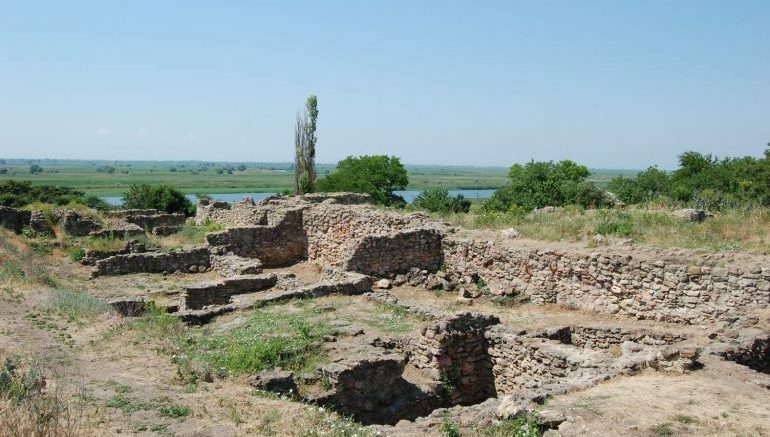 However ironically, by 3rd century AD, the settlement with its impressive fortifications, was devastated and plundered by the mixed army of nomadic Sarmatians and Germanic Goths. Tanais on map. Credit: Internet Encyclopedia of Ukraine.